Sunbury Ace Hardware is independently owned by local husband and wife team Mike and Wendy and is a proud member of the Ace Hardware cooperative. 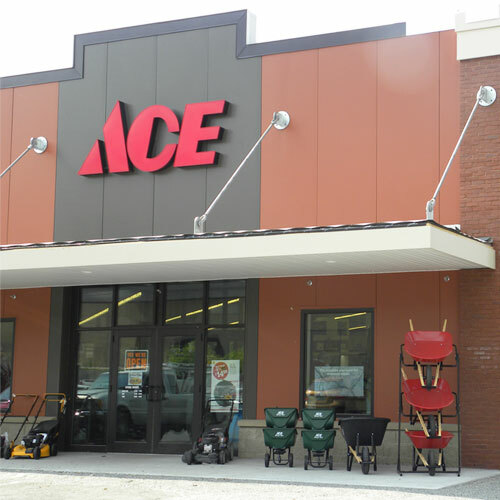 We strive to maintain Sunbury Ace Hardware as a warm and friendly place for our customers to shop and a warm and friendly place for our associates to work. In the morning you can enjoy a free cup of fresh hot coffee and in the afternoon a fee bag of hot fresh popcorn. And bring your dog along. Our store is dog friendly and we keep a jar of free dog biscuits at the cash register. Stop by, say hello and let us help you with your latest project or repair. After all, Ace IS the Helpful Place.